One died and one injured in spacecraft's crash in Mojave Desert. The crash of the Virgin Galactic spacecraft that killed one pilot and injured another scattered wreckage across a large area of the Mojave desert, but it also clearly rattled the “small” community of test pilots and technicians in the field. 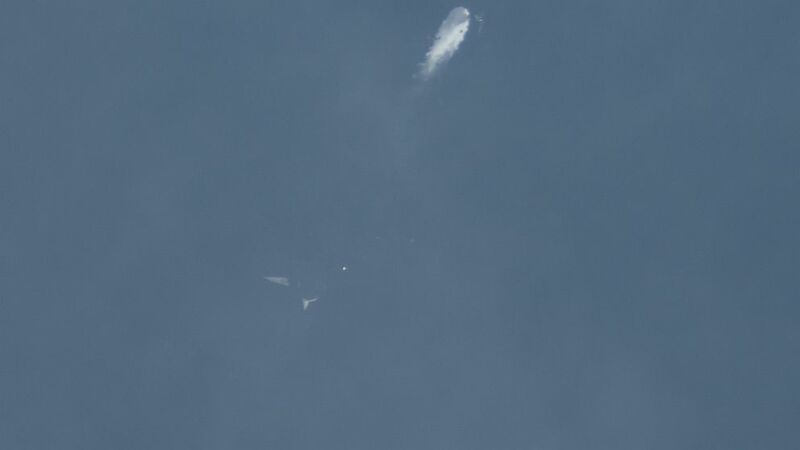 "Space is hard and today was a tough day," said George Whitesides, CEO of Virgin Galactic. He added, "The future rests in many ways on hard days like this." Stuart Witt, the CEO of Mojave Air and Space Port, said the death of the pilot was keenly felt. "When we have a mishap from the test community, we find the test community is very small And we are human and it hurts," Witt said. 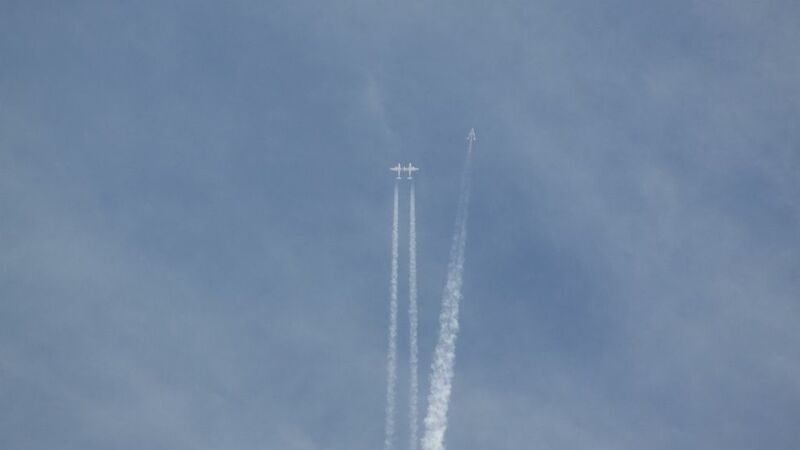 (Mark Greenberg/Virgin Galactic/Getty Images) Virgin Galactic White Knight Two carries SpaceShipTwo for the first rocket powered flight (PF01) since the beginning of the program that began in 2005 in Mojave, Calif., April 29, 2013. The officials confirmed that both people involved in the incident were test pilots from the Virgina Galactic partner, Scaled Composites. The pilots were not identified. Sheriff Donnie Younblood said, "I flew around the crash site. It’s a large area. The aircraft is in several different pieces." Virgin founder Richard Branson is expected to arrive in Mojave by Saturday morning. Also due at the site on Saturday is a team from the National Transportation Safety Board. The NTSB announced that they will send a full team of investigators, led by acting chairman Christopher Hart. Witt said the exact cause of the "anomaly" that caused the crash remains unknown. "From my eyes and my ears, I detected nothing," Witt said. "I knew [something was wrong] when other things weren't happening. It wasn't cause something happened, it was something’s not happening," he said. 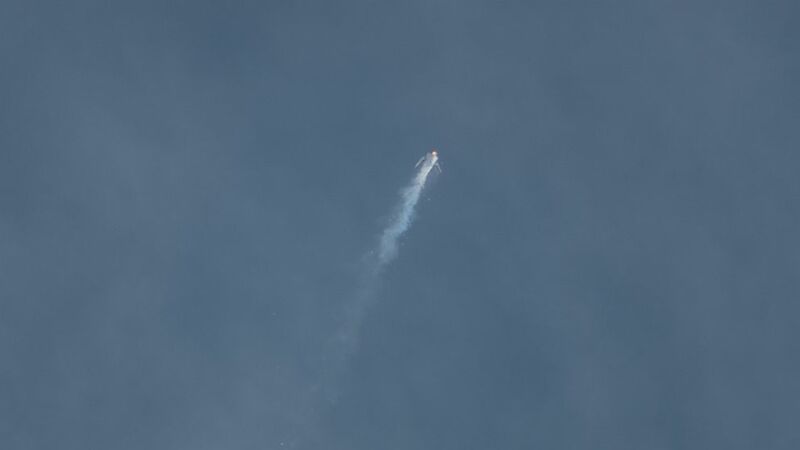 Whitesides said that a new fuel formulation was being used in this test flight, but said that it had been "proven and tested numerous times on the ground." The craft dubbed SpaceShipTwo was destroyed after it separated from its mother ship, White Knight Two, the company said. Kevin Mickey, president of Scale Composites, explained that the mother ship flies the spacecraft to 45,000 feet, "then it’s released. It's a glider in free fall. Then the rocket is lit and you are on your way." 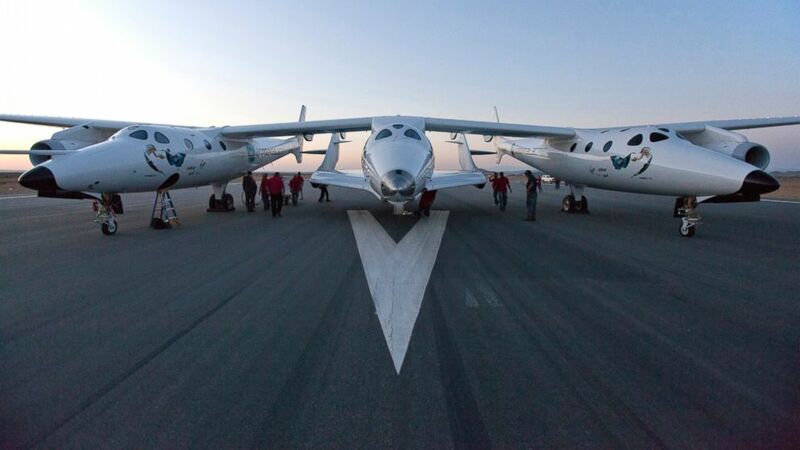 Virgin Galactic, part of Branson's group of companies, has announced plans to operate a fleet of SpaceShipTwo vehicles for private sub-orbital flights. This is the second private space mission to end catastrophically this week. On Tuesday, an Antares rocket produced by Orbital Sciences exploded seconds after liftoff in Virginia while on a NASA-contracted supply mission to the International Space Station. "This hasn't been an easy week. It certainly has been a challenge," Witt said. "But where I’m from this is where you find out your true character." ABC News' Matt Hosford and Jonah Lustig contributed to this report.